It’s happening. Dessert recipes for the instant pot are amazing! This instant pot peanut butter cup cheesecake has an oreo crust as well so dig in! Instant pot recipes, pressure cooker recipes and slow cooker recipes are all the rage this year and we are happy to jump on that bandwagon. 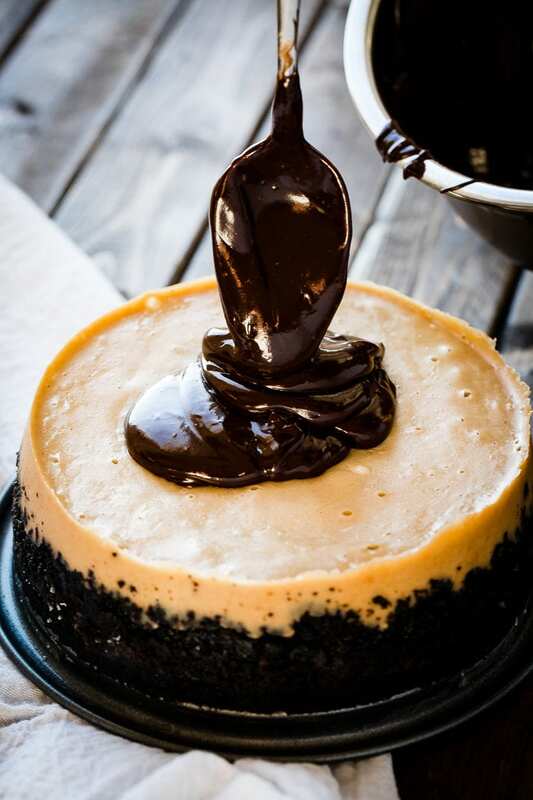 There’s nothing quite like a creamy cheesecake to make you feel like you’ve died and gone to heaven and this instant pot dessert recipe, Instant Pot Peanut Butter Cup Cheesecake with an Oreo Crust is everything you want and need for Valentine’s Day. Last fall we posted our very first Instant pot recipe, one that I’m pretty shocked I’m so obsessed with, 2 Ingredient Instant Pot Applesauce. It is amazing. Like, I literally never think about having a bowl of applesauce, but now I’m enamored with the stuff. That moved us quickly on to Instant Pot Taco Soup, Instant Pot Beef Stroganoff, and Instant Pot Chili, so it only seemed natural to throw in an instant pot dessert recipe. Thankfully my dear friend, Barbara from Pressure Cooker Today and Barbara Bakes has a new cookbook, The Electric Pressure Cooker Cookbook out and I quickly turned to her to see if there were any dessert recipes. Winner, winner! One of the first I saw was this, Peanut Butter Cup Cheesecake and as an avid Reese’s Peanut Butter Cup Cheesecake fan I just had to go for it. The entire book is filled with perfectly written recipes that are easy to understand and make, along with pictures so you know exactly what you’ll be making. I love that the cookbook contains valuable information to make pressure cooker recipes, or we use our Instant Pot turn out perfect every time. We often get asked which instant pot is best to buy or which pressure cooker is best, and for us, a family of 5 with small children, who also like to host guests, the Instant Pot DUO Plus 60, 6 Qt 9-in-1 Multi- Use Programmable Pressure Cooker is the best. 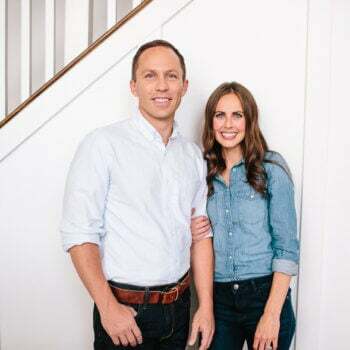 Now, if you have a large family of older children then yes, go ahead and get the bigger one but a 6qt instant pot (an electric pressure cooker) is plenty big enough for most families. We also like that this particular model has the saute, yogurt, bean and chili, and even rice option so you can make so many different things all in one gadget. You can get rid of your steamer, rice maker, and slow cooker with one item, but if you’re me I keep them all because I’m weird like that, haha. Which pressure cooker size do you need? Again, it really just depends on what size of family you have or how many people you cook for. For 4-6 servings you’re good with a 6qt but if you need to make more than that just get a bigger size, however don’t get the bigger thinking it’s better if you don’t need it. A big pressure cooker to cook a small amount of food isn’t a great idea as it can cook it differently. Are Pressure Cookers and Instant Pots the Same? An instant pot is pretty much the same thing as an electric pressure cooker, but you also get the functions of a slow cooker, saute pan, yogurt maker etc so it’s like a circus in there, the good kind, not the creepy clown kind. To make a cheesecake in an instant pot or pressure cooker you need three things, a sling, a water bath and a trivet. A trivet is something that should come with your instant pot. It allows whatever is placed on it to sit up off the bottom of the pan or out of the water. It’s a little metal rack. A water bath is way easier in an instant pot than the oven as you just pour a little water in the bottom of the pan, lower in the trivet and then set a pan of cheesecake with foil over the top onto the trivet using the sling. Now you’ll just pressure cook on high and you’re all set! A sling can be quickly made using foil and often I’ll save it and reuse it one more time since it doesn’t get dirty. Take a long piece of foil and fold it lengthwise, just like when you learned hot dog versus hamburger at school. Keep folding until it’s about 2″ wide. Place the foil under a pan and gently lift the two ends to set a pan inside of another pan. This keeps your hands free from hot sides or from awkwardly dropping the pan of food. 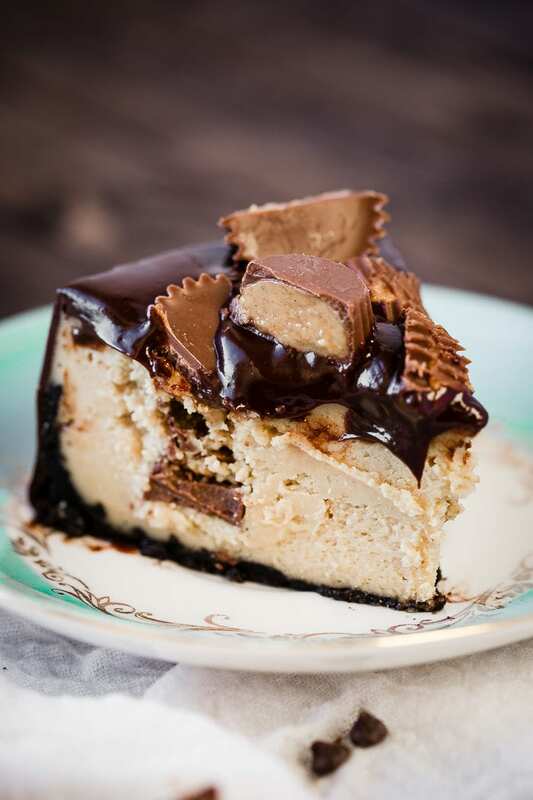 The instant pot peanut butter cup cheesecake starts off with a super easy oreo crust, then a creamy and silky peanut butter cheesecake filling and finally a rich chocolate ganache poured over the top and sprinkled with mini Reese’s Peanut Butter Cups. Hey, speaking of, do you know the trick to cutting a peanut butter cup? Always turn it upside down and it won’t smoosh or crumble on you. 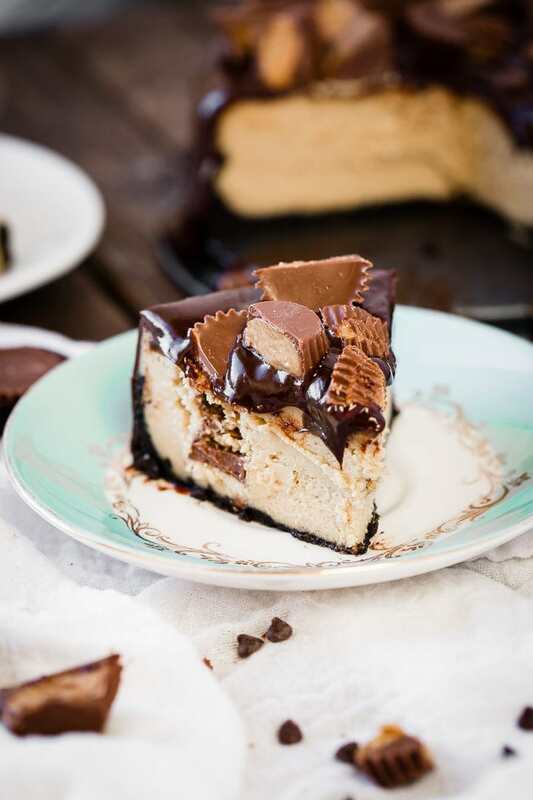 But then again, you get to eat an instant pot peanut butter cup cheesecake, so who cares if it doesn’t look perfect as long as it tastes good! So that you don’t run into the same issue as I did with having the wrong sized pans, here’s what you need to make cheesecake in an instant pot. 7″ Spring Form pan that fits a 5, 6 and 8qt instant pot. We personally like this one because it’s leakproof and Nordic Ware is a great brand with a better price. Smaller Pie Server this pie server is small and works better with this little cheesecake. It’s got height but a traditional cheesecake can be flatter and wider so a regular pie server is fine while with this cheesecake it can be a bit too wide. If you’re looking for another drool worthy Instant Pot dessert, try this Instant Pot Oreo Cheesecake or this Instant Pot Apple Crisp! It's happening. 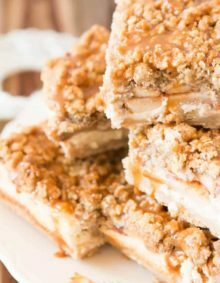 Dessert recipes for the instant pot are amazing! This instant pot peanut butter cup cheesecake has an oreo crust as well so dig in! Spray a 7" springform pan with nonstick spray. Pour 1 cup water into the instant pot and place a trivet in the bottom. In a bowl, stir together the cookie crumbs and butter. Spread the crust evenly in the bottom and about 1" up the sides of the springform. In a large bowl, with a handheld mixer, mix the cream cheese and sugar on medium speed until smooth. 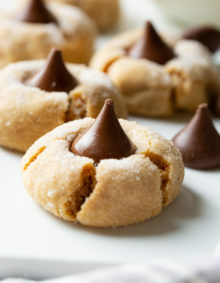 Blend in the peanut butter, heavy cream, vanilla and flour. One at a time, mix in the eggs and egg yolk. Pour the batter over the crust and cover the pan with foil. Make a sling by folding a long piece of foil lengthwise to make it strong. Place the cheesecake on the sling and gently lower onto the trivet. Lock the lid and cook at high pressure for 50 minutes. Turn off the pressure cook and do a natural release for 10 minutes and then a quick release. 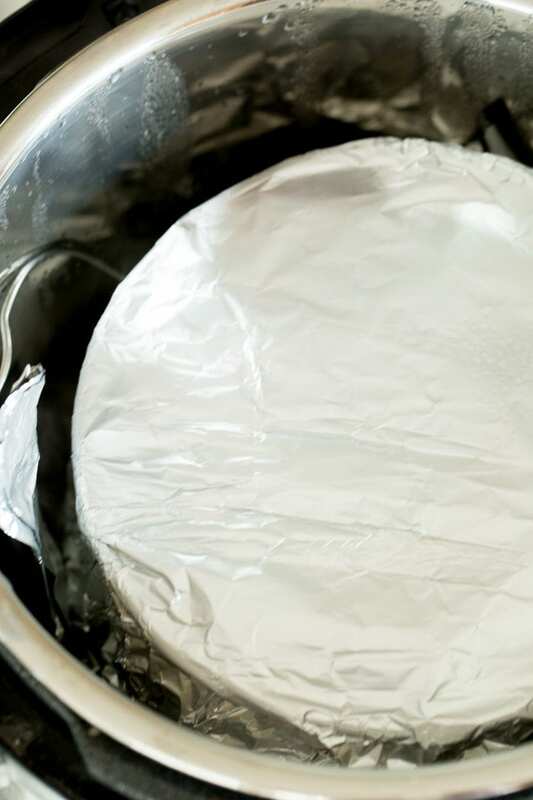 Remove the lid and foil, and using an instant read thermometer in the center of the cheesecake, make sure the cheesecake has reached 150 degrees farenheit. If it hasn't, place everything back on and cook an additional 5 minutes, 10 minute release and check the temperature again. Remove to cool and remove the foil. After it's cooled, place in the fridge for 3-4 hours or overnight. Place the chocolate in a large bowl. In a small pan over medium heat, bring the heavy cream to a boil. Pour the hot cream over the chocolate and stir until smooth. Pour over the cheesecake allowing to drip down the sides and sprinkle with peanut butter cups. Refrigerate until ready to serve or enjoy immediately. 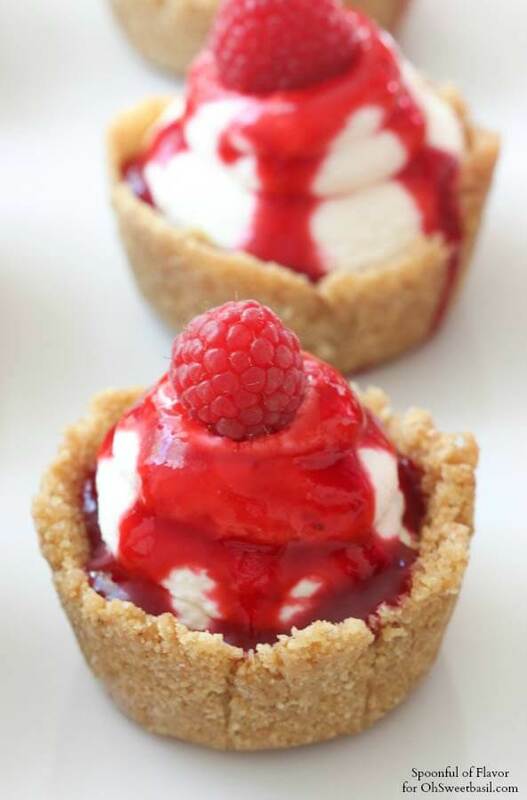 No-bake mini cheesecakes with raspberry sauce are the perfect desserts for a beautiful end to any meal. 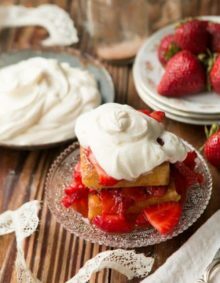 A great spring or summer dessert! You say oreo cookies but do you use the cream filling too or scrape off so it’s just the cookies for the crumbs? Yes, the full cookie…cream filling and cookies! Enjoy! This looks amazing. I have a question about the ganache. In the photo it appears to be made from dark chocolate not milk chocolate. Is it me or should it be dark chocolate in the recipe? Hi Roxanne! You are correct, we did use dark chocolate for the photos of this dish. It tends to photograph a little better. You can use any kind of chocolate for the ganache. Whatever you like best! You’re going to love it! New to instant pot and this recipe was so easy and absolutely delicious!! I used a 6 inch springform pan and cooked for 38 minutes and it was perfect. Left over batter I baked in small ramekin in oven. It’s it so tasty?! I love the way you used the leftovers! Yum! Sprinkle the peanut butter drops and the chocolate tails on the whipped cream. If it is icing, serve it in a separate bowl. I don’t have a lot of cheesecake experience….can I add chocolate chips or chopped peanut butter cups to the cake batter also? Would the cooking time change at all? I did a test cheesecake this week in advance of Easter/my dad’s bday, and he’s going to want a little more chocolate 😉 or he’ll just get extra ganache on the side! The cake smelled so wonderful coming out of the cooker! Absolutely, and no, just leave it the same. So happy to hear you tried it! 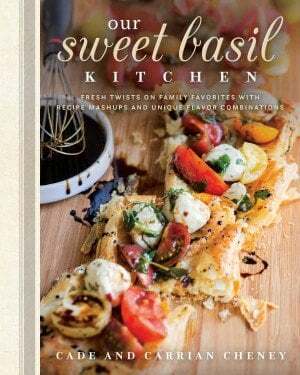 Thanks so much for sharing the recipe and a shout out for my cookbook. Glad you’re loving your Instant Pot! Will this work in my 8qt duo? Please say yes!! Thank you! I made this and it turned out perfect! Huge hit with my kids! Oh goodness!!! I don’t think we can be friends anymore after this one. No just kidding!! But seriously…this…looks…amazing!!! I want to dive right in and the fact that it can be made in an instant pot just blows my mind. I really need to get on this instant pot band wagon ASAP! Yay!! Thanks for the love and yes, get an instant pot! I always love the way how cheese mixing with peanut butter, it’s a perfect combination! 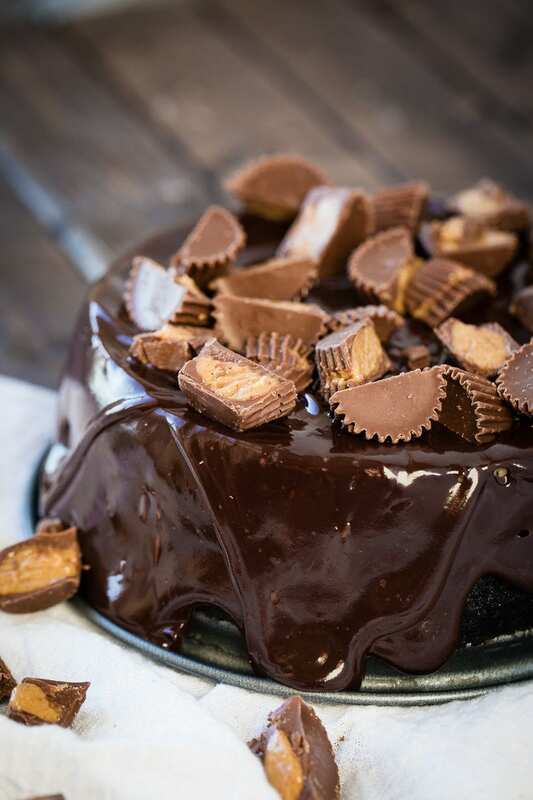 Love making cheesecakes in my pressure cooker…just made a chocolate turtle cheesecake and a rolo cheesecake for a church function…6×3 pans for me…nice tall cheesecake slices…have some 7×3 pans…will be trying this pb cup recipe soon. Oh my goodness, that sounds so good!! Did you just do a vanilla cheesecake for the rolo? That cheesecake looks so dangerously delicious. My daughter made it for her husband and boys and she said it disappeared FAST. I believe it! I have Barbara’s book and have loved every recipe I’ve tried out of it-and I’ve made quite a few of them. I do love making cheesecakes in the pressure cooker a lot. With just 2 of us here, the smaller size is perfect for a special treat…and they always come out SO good from the pressure cooker too. Barbara is so good at what she does!